I had never taken much of an interest in angels and had never seen anything like an angel until last summer when I was particularly unwell. I was going through a very bad phase health wise and was feeling despondent because I had optimistically booked a five-day residential mediumship course with the Accolade Academy at Margam in Wales. I was so ill I really thought that I wouldn’t be able to cope with the journey there, never mind actually manage the course. Only a few days before I was due to go away, I was talking with my friend Martha McKinnon, a gifted medium and healer who I have known for several years. I was telling her how disappointed I was that I would be unable to attend the course and how another friend was on standby to take my place. Martha very kindly offered to give me healing. Now Martha lives in Scotland and I am in Hampshire, so we are not at all close geographically, in fact it is over 430 miles, but Martha said this would make no difference. We arranged for me to lie on my bed at 9pm and that she would text me when she had started and would text again when she was finished. I laid on the bed and to be honest wasn’t expecting to feel anything at all. I didn’t hear Martha’s text arrive, so just closed my eyes and relaxed. I was immediately aware of a presence around me and was sure I could hear people softly talking, but I didn’t open my eyes because I was a little wary of what or who I might see! I felt a wonderful sense of love and warmth surrounding me and in a strange way my body felt unbelievably light. It was a very lovely feeling. I must have drifted off to sleep because the next thing I knew was that I was waking up and seeing that it was exactly an hour since I had laid down. I was going to get up and make a cup of tea but somehow felt I should carry on lying there until I heard from Martha. I was just lying on the bed looking at the ceiling when I saw a small bright light above me. As I looked closer I could see that in the light was a small face. I couldn’t believe my eyes and sat up to take a closer look. The face was surrounded by a soft golden light and then I saw what I can only describe as waves of what looked like downy feathers encircling the face. I watched as it moved slowly across the ceiling and then disappeared. I was stunned. I had never seen anything like it before. Then I noticed another light across the room, and again there was a small face, surrounded by the same golden light and downy feathers and it too drifted across the ceiling and then faded. This happened twice more. My goodness, I couldn’t believe it! I really wondered if what I had seen had been tiny angels and there was Martha’s text confirming that she had left my healing in the angels hands. I couldn’t wait to tell Martha and rang her. She said she wasn’t at all surprised. I was amazed, not just with the angels I had seen, but by how very small they were. If someone had asked me to describe an angel I would have assumed that they were at least our size or larger. Martha told me that she felt they came in all sizes! The next day I was over the moon when I felt better than I had in months and the feeling of energy running through me was incredible. I had to tell my friend on standby that I would be able to go on the course after all. I know she was disappointed as she was looking forward to the possibility of going herself, but she was also really pleased that I was feeling so well. Several months passed and I had not been aware of any angels again until one evening I was lying down and about to begin a healing meditation. I saw a haze of the deepest purple surrounding me and then saw a small golden glow down to my right. When I looked closer the glow became more and more intense and then there, right in the middle of it, was a very small angel looking up at me with arms outstretched towards me. It could have only been about two or three inches high and again I was amazed at how tiny it was. It glowed brighter and brighter and then began to fade. I felt a wave of disappointment as I saw it vanish before my eyes only to then be delighted to see another glow appearing to my left. Sure enough another little angel appeared and then faded followed by another and another. In all there were six of them this time. I just laid on the bed in awe of what I had just seen. I am sure that they came to assist in my healing. It does seem that’s when these little souls arrive. I remember verses that I had ‘received’ one morning back many years ago. I had woken and heard the words but then as I went about my morning routine I had forgotten them. The next morning as I awoke I was given the words again and I wrote them down. I have no idea who gave them to me, only that it was a soft gentle voice. It is only when I close my eyes, that I can truly see, the need in the world and the joy there should be. It is only when I close my eyes and sit quiet and still, that I hear the whispers of nature, a birds gentle trill. It is only when I close my eyes and sit quiet and still and empty my mind, that my heart starts to fill. In a world without form, without these senses we share, I find total peace and feel utter care. Aware of my soul, the essence of me, there is only one truth, that whatever shall be. As pure as true love, without fault or shame, there is compassion and truth and no-one to blame. High in the heavens, as I travel through light, an angel appears, surreal and so bright. He touches my soul, and repairs all my pain, with a spark of the Divine, I feel whole once again. I return to this place, with my energies renewed, to complete my life’s work, to assist all of you. As I open my eyes and hear the noise of this life, I fill my mind with everything that I am as a Mother and wife. But deep in my soul, throughout every day, I know there’s an angel, just a moment away. Strangely the words appear to be written in the first person, but I feel that they are for everyone, to enable us to gain an understanding of how easy it is to connect with angels. 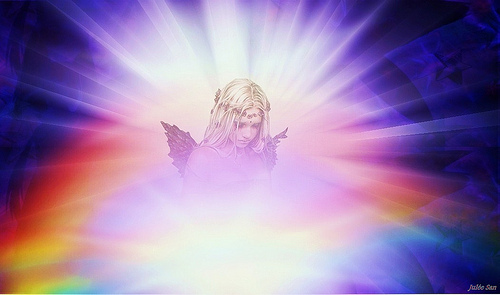 It was over ten years later, last summer, that I first felt any type of connection with angels at all, but they do say that there is no time in the spirit world, so I am sure one of my lessons is to learn to be patient! I’m looking forward to my next angel encounter …. no matter how long I might have to wait! 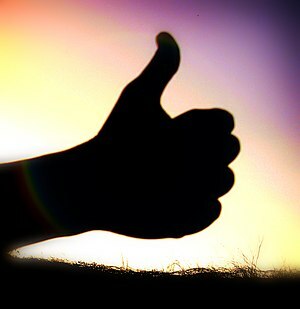 23) Learning to say yes! All too often we hear the phrase “it’s just so tough learning to say no”. Granted, it is one of the hardest lessons to learn, but what we often overlook is the other, and in my mind, equally difficult lesson, which is learning to say yes. Not a tentative maybe, or not now, or possibly, but a positive, resounding, unequivocal, confident, yes! How many times in our lives do we really want to try a new experience, but something in us makes us hold back? Often it might be fear of failure, or, and this can be true also – it might actually be fear of succeeding. We can all stay in the same place, in the same town, with the same friends or in the same job. Now there’s absolutely nothing wrong in any of that, but it is a dreadful shame if you choose not to move or change your employment or the people in your life, because you are afraid of success! Afraid of change. Sounds crazy doesn’t it? But look around you and see how many people you know who prefer to live a ‘safe’ life doing what they have always done, going where they have always been, eating what they have always eaten. Then, they say that their life is dull or that they feel they missed opportunities. There are lots of them about. I was on a wonderful week-long spiritual course run by Accolade Academy of psychic and mediumstic studies, in Margam, Wales. Two of our course tutors, Debbie and Paul Rees, welcomed us all to the week with an uplifting and inspiring talk. The students were split into two groups and I was with Debbie. She asked us what we all hoped to achieve in the week and most of the responses were fairly standard for this type of course: to strengthen our links with spirit, to learn to distinguish between our thoughts and those of spirit, and the answer that came up again and again, to feel confident in our demonstration of spiritual communication. She told us that the week was ours, it was only us who could push ourselves to the limit, it was only us who could choose how much to move ourselves forward. It was only through practise, practise and more practise that we would feel confident. She rightly said that she couldn’t do the work for us, she could only facilitate our choices. She said it would be so sad if we went home wishing we had tried harder, wishing we had taken risks. She said it was the perfect environment to test your skills, without fear of failure. When she had finished talking she asked who of us, right there and then, would like to stand up and actually give a demonstration of our mediumship. I put my hand up. I was so surprised, because when I looked around I was the only one! Hadn’t anyone else taken on board what she said? Someone always has to go first, but why was it me? Was everyone else afraid of saying yes? When you work with spirit you have to be able to say yes to them. It would be all too easy to ignore them and just carry on with your earthly life. But, the moment you say yes, they are very definitely there with you. They know that you have acknowledged them and that you are willing to work with them. The very first time you tell someone that you have a spirit with you who wants to communicate, you have said yes, you will assist them. The first time you do anything in your life you have in effect said yes. Even at the very beginning of your life you are actually saying, yes, you will try eating solid foods. Imagine if you had said no, you would still only be drinking milk! When we are young and learning all about the world we say yes without even thinking about it. We say yes when new people come into our lives in the playground and want to be our friend. Yes, I will learn to skip, yes, I will learn to paint, yes, I will try peanut butter in my sandwich. It’s all so easy when you are young. Then as a teenager you say yes, you will listen to a new band, yes, you will try five-inch heels (if you’re a girl), yes, you will try a new hairstyle. You get the gist of what I’m trying to say here. But, there seems to come a time, when you have run out of yeses, maybe when you have become comfortable and settled and suddenly the yeses have become no’s. I do wonder if children are more aware of spirit because of their open minds, because of their ease in saying yes to a new experience. As we become older our awareness tends to shut down, but then so too does our ability to say yes. We seem to lose the zest for trying new things and I wonder why. I did read a few years ago that people say that as they get older time appears to speed up and when they look back at when they were a child the days always seemed longer, time seemed slower. There is a thought that the reason for this is that everything takes on more importance when it feels new or when you are learning. If you look back over even the past month of your life can you say it went slowly or quickly? If you just carried on with your normal daily routines the chances are the month whizzed by, but had you started a new project or learnt a new skill, or went somewhere new, you might find that looking back, each day actually mattered, even the hours that you were involved with a new experience would seem far longer in your memory. When I moved to Hampshire just over seven years ago, I didn’t know a soul apart from my sister and her husband. Not being well made it difficult for me to get out and about and meet new people. After several weeks of sitting watching tv with my sister and her family in the evenings, a friend suggested that I try internet dating. My first instinct was to say no, but after much thought I decided why not and joined a reputable site. After several dates with the wrong men and two definitely wrong marriage proposals later, I was at the point of cancelling my membership. However, one auspicious evening I decided to be quite forward and take at look at the men on the site instead of waiting for them to contact me. One profile stood out from all the rest. It wasn’t the usual ‘I love red wine and romantic moonlit walks by the beach’ type that I had read at least a hundred times. This one had no photo and the profile was cheeky and funny and it was obvious the man didn’t take himself too seriously. I decided to send him a wink! The next day he emailed me and introduced himself as Simon. What was amazing was that I had no idea where he lived when I had sent him the wink, but he lived only a five-minute drive away! We got on really well and talked online for a while before I gave him my phone number. After chatting on the phone he asked me out and I said yes. When I met him he was absolutely great. Simon and I celebrated our fourth wedding anniversary in March and he is still great! Not all decisions have to be so life changing or mind-blowing. When I met Simon he offered me a chilli crisp. Now I had never eaten a chilli in my life and must admit my first thought was a resounding no. I had tried a prawn curry years ago and absolutely hated it and thought all ‘hot’ food would taste the same, but then I thought, why not, I only have to try one. Much to my surprise I loved it. Since we have been together I have learnt several new recipes that include chillies and can’t imagine not having them now. In fact my beef chilli has become a firm family favourite and has been requested, again, for the family get together on boxing day! When someone asks you to try something, anything, that is new or different, why not just say, without a moment’s hesitation, yes. How many wonderful experiences pass us by because we hesitate, and then, in an instant, the moment is gone, sometimes never to be repeated? Yes? 16) I’m going to post a blog a day! Having weaved my way around the WordPress site, trying to glean tips for the a new blogger, I somehow came across what is termed The Daily Post. Its is full of inspiring ideas to help us bloggers blog a little more. To begin with we have to add widgets and tags and things, some of which I find more than a little formidable. I have read, re-read and read again the easy to use instructions, and as the intelligent woman I still try to consider I am, I find I am still none the wiser. I have, as instructed, pointed my mouse at the widget picture and clicked and then gone backwards and forwards to my blog ‘dashboard’ (that’s the technical word for the technical background bit of my blog, a bit like an engine for a car) and clicked here and there and have still found I haven’t got the widget I need. It’s so much like my car, I know where the pedals are and the steering wheel, but put me under the bonnet and I have no idea what is what! I have learnt more about tags in the last couple of weeks, but I’m not quite sure of the difference between a tag and a category, so I always end up with a mixture of the two. My ever helpful husband, advised me to keep a list of tags and categories on my desktop so that it would be easy for me to find for future use. Hmmm, I’m sure it would be if I knew where on earth my computer had saved them. I’ve made several lists of tags and categories now and can never find them again. There must be a mass of lists somewhere in my laptop that I’m sure one day will come to light, but for the moment at least they are very much hidden. So, to get back to this wonderful innovative idea of ‘post a blog a day’. The challenge is to find inspiration from ideas that the Daily Post will give us bloggers, and then be able to write about it. To me it sounds very much like a class I took with the Accolade Academy in Margam, Wales, with the most wonderful spiritual tutor, Tony Stockwell. He had the bright idea that each of us would choose a random word and then someone in the class would have to talk about it for at least five minutes. You couldn’t prepare this talk, or do any kind of background research, it had to be totally off the cuff and ideally inspired by spirit. We all had to have a go, and I must say it was good fun once you get over the ‘I’m sounding like a total idiot’ phase. The problem was, that unknown to us students, Tony was walking around the class listening in and was deciding who he would choose to demonstrate inspired speaking to the whole course on the final night. He walked up to me with a big smile on his face and told me I was going to be one of his chosen students! It was more than a little daunting, he told us that we could talk about absolutely any word at all, for at least five minutes. The other classes on the course also had students that had been chosen by their tutors and the evening before the ‘performance’ I could see everyone busily writing notes and discussing their ideas. I thought I must have the wrong idea, because I had not prepared anything at all. I guessed that if it was supposed to be inspired then you should leave it to spirit and trust them to inspire you. I went to bed that night concerned that maybe I should have spent the evening in preparation instead of chatting socially with friends. I spoke to Tony the next morning and asked him if I had got it wrong. He laughed and said, no, it was supposed to be inspired and no preparation was necessary. In a way that sounded too easy and too terrifying all at the same time. The whole day my tummy was full of butterflies, not gently fluttering away, no, these butterflies had boots on and were stampeding around, and I was dreading the moment I would be called to talk. As we all took our seats I thought that I would feel better once I had seen a few others give their talks, but little did I know that I was to be called up first! Looking back though it is a bit like having a dentists appointment first thing in the morning. You get it over and done with and can then get on with enjoying your day. I had been visibly shaking at the thought of standing up in front of all these people, my stomach was churning, my mouth was dry and my palms were sweaty. Amazingly as soon as my name was called and I walked to the front, a feeling of calm came over me. I still had no idea what I was going to talk about. There was a stand by the side of me with a description of all that Accolade Academy offers its students. “Understanding your Awareness”, was one of the phrases that caught my eye. Suddenly I was off, chatting about awareness. I don’t know how long I spoke for, and to be honest I can barely remember what I said, but I did feel it flowed and was certainly inspired. Phew, was I pleased when I could sit down. So, I am going to try to approach this ‘blog a day’ challenge in exactly the same way. All I have to do is trust that spirit will inspire me …. they have never let me down yet!